One of the largest islands in the world, Madagascar sits off the coast of Southeast Africa…and is the site of our next weeklong adventure! 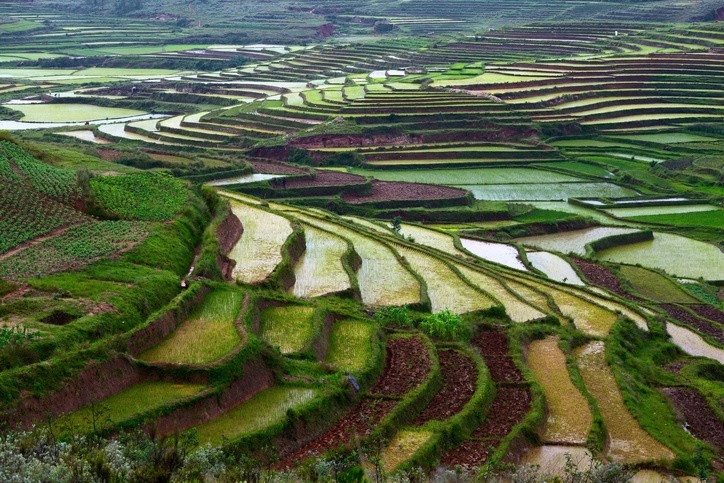 Accounts vary, but most put the first settlement of Madagascar around 2000 BCE or as ‘recent’ as 300 BCE. Either way, the island was one of the last major land areas to be settled. Over the centuries, Madagascar developed a mixed ethnic base of mostly East African and Southeast Asian settlers. Settlers lived off agriculture, slowly moving inland from the coast, but it wasn’t until the early 17th century that more advanced irrigated rice fields were used in the highland regions. From the 16th century onwards, traders, pirates, and explorers from both Europe and the Arab world frequented Madagascar. By the late 18th century, the island had developed a reputation for both pirates and the slave trade. Some even point to a nearby island as the home of the famed pirate utopia known as Libertalia (a legend in the same vein as Shambhala or El Dorado). Around the early 19th century, Madagascar came to be dominated by the powerful Merina Kingdom. Kings and Queens instituted their own policies while staving off colonial efforts from the British and French. 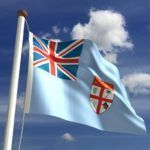 Some monarchs enacted controversial trade agreements while others found themselves the victims (of beneficiaries) of various political machinations. After deeming that the Lambert Charter (the aforementioned trade agreement) had not been honored, the French invaded Madagascar in 1883. The French were granted the port of Antsiranana while other reparations were also made. Following this, the French marched on the capital. Despite losing many troops to disease, they took Antananarivo and claimed Madagascar as a colony. Under French rule slavery was abolished, but many plantations remained manned throughout the country. The Second World War weakened the colonial government due to the occupation of the home country, while Madagascar itself was the site of a battle between the Vichy regime and Britain. After a period of reform, full independence was granted to Madagascar in 1960. The road since independence hasn’t always been clear, with multiple alterations to the constitution resulting in numerous republics. Many of the leaders were military men, with Vice Admiral Didier Ratsiraka ruling from 1975-1993. During this time, Madagascar cozied up to the Eastern Bloc. There were many issues during these few decades, including presidential guards firing upon unarmed protestors in 1991. This led to Ratsiraka stepping aside. Eventually, a new multi-party democratic system was established, alongside a more clear separation of powers. Despite periods of growth, economic hardship and corruption have dogged Madagascar throughout the 2000’s. In early 2009, Marc Ravalomanana was removed from the presidency by Andry Rajoelina. A fourth republic was established and free, fair elections were held in 2013. There remain serious questions and a great deal of political uncertainty, however Madagascar continues to work to put recent troubles behind it. There are many different ethnicities throughout Madagascar, each with their own beliefs and customs. That being said, a uniform Malagasy identity has been fostered over the years. Southeast Asian culture can clearly be seen in the Malagasy way of life – especially when it comes to the consumption of rice in cuisine. Cattle and cattle rustling (common in Africa) have also made it to Madagascar. Though the caste system is no longer official, social standing does still dictate many opportunities and the roles of people in society. 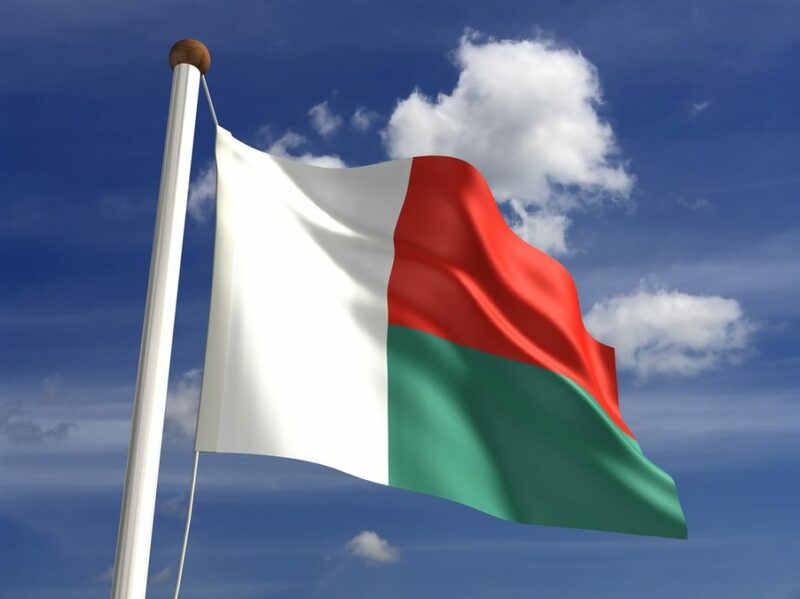 The flag of Madagascar was adopted in 1958 (two years prior to independence). It consists of a white vertical stripe on the left with red and green horizontal stripes on the right side. Red and white are the colors of the historic Merina kingdom, while green represents the Hova – peasants who fought for independence against France. Moraingy is popular throughout coastal regions of Madagascar. It is a form of hand-to-hand combat. A type of cattle wrestling (savika) is also popular in many parts of the country, while board games (namely fanorona) enjoy widespread followings. That being said, rugby union is considered the national sport, while soccer and other sports are also followed throughout the country. 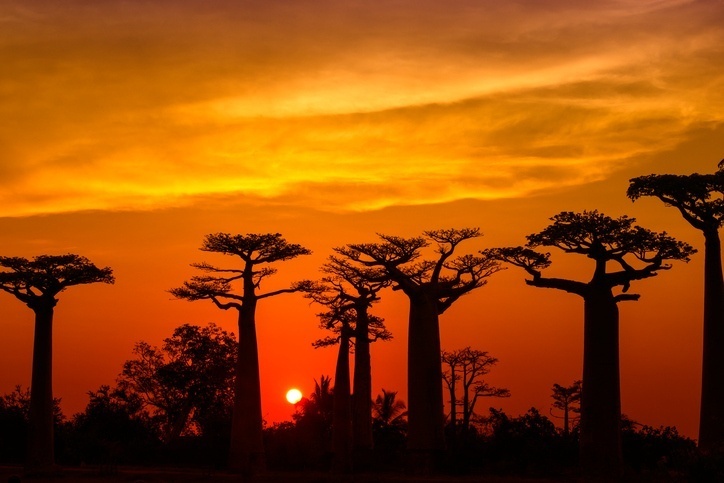 Madagascar is the fourth largest island in the world, and features a wide array of different landscapes. The central highlands are characterized by terraced paddy fields, while tropical rainforests cover large portions of the east coast before giving way to sandy beaches on the Indian Ocean. 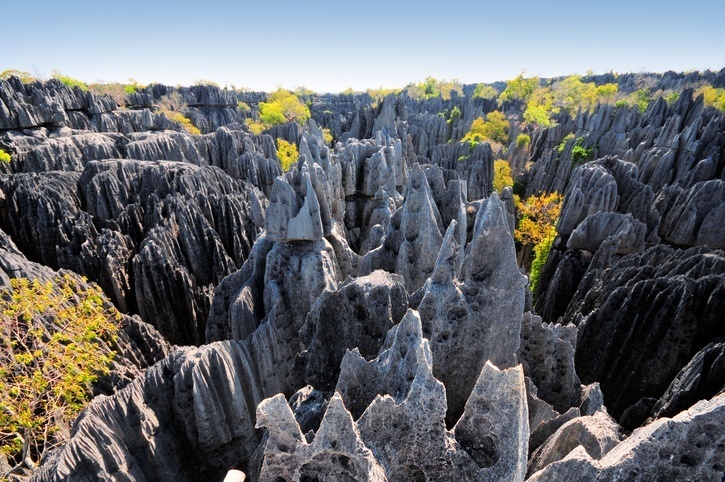 Other parts of Madagascar feature stony massifs, deserts, iconic baobab trees and more. All told, Madagascar is a nature lover’s dream come true! 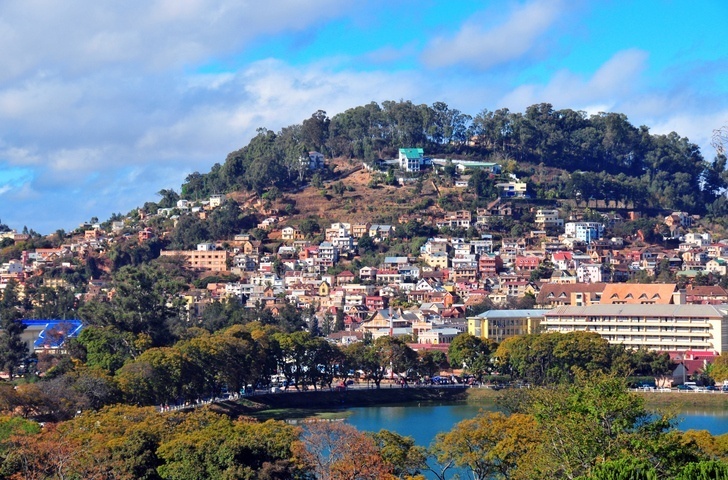 Antananarivo is the capital (and largest city) of Madagascar, and is home to over 1 million people. It is located in the central highlands. 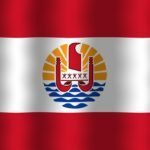 A handful of other cities number around the 200,000 mark – including Toamasina, which serves as the main port of Madagascar. A place like nowhere else on Earth, Madagascar now looks to move past uncertainty and forge a new future for itself. 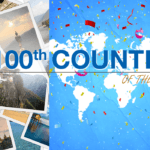 Journey to the African mainland and much more with Continental’s Countries. Explore Madagascar for yourself with our Travel Guide and Currency Spotlight.